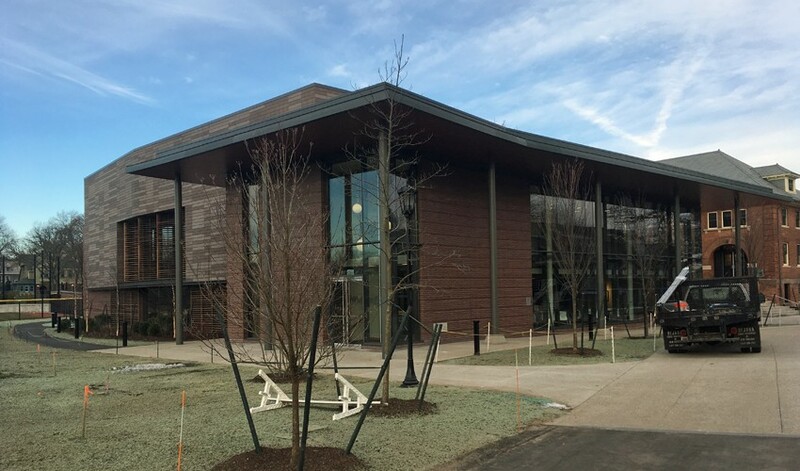 Completed in November of 2016, the Woodman Family Community & Performance Center is a multi-use facility on the campus of the Moses Brown School that features a main hall capable of holding 540 people for musical theater performances, exhibitions, workshops, and many other school and community activities. 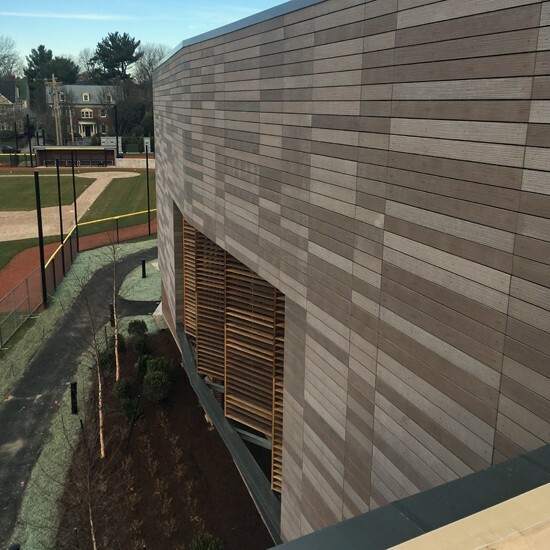 The center also includes a café, circulation space, classrooms, theater support space, and an outdoor gathering space. 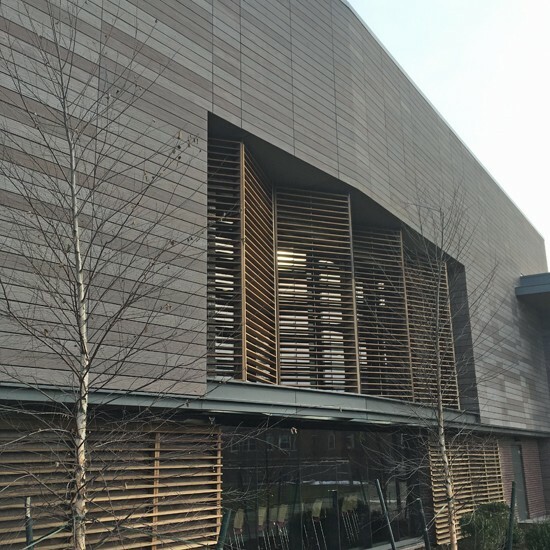 Sunrise furnished and installed TAKTL wall panels on the main façade and penthouse of this 36,000-square-foot center. The TAKTL panels came in five different sizes and four different colors, giving the building a very unique look.